It is one of the oldest cafes in Chandigarh that offers delicious food and drink in pocket friendly prices. Though the place might not offer the ambience that youth look for but it is surely affordable and quality of food is also good. You get here all the varieties of good coffee and shakes in addition to fries and pavs. Also, you can enjoy the pizza and pasta here. There is no such munchies that you will fail to find here. As the name suggests, it has a great ambiance too and is a favorite of the youngsters. You can comfortably sit here and enjoy your coffee. This is one of the most visited places by the youth. The apt service of the staff and the good food is all that you would have ever wanted at such affordable prices. Here you get an outdoor seating in addition to the smoking area. Also they offer you the great hospitality in addition to the amazing food. This is one of the cosy cafes where you can go with your friends or alone. Apart from providing you the free Wi-Fi they also offer you the reading facilities and of playing games. This one is a classic cafe having a minimal décor. It is also known to be one of the best bakery in the city offering divine patisserie plus the baked stuff in addition to coffee and tea. It offers a great ambience and value for money. If it is a good range of hot coffee or the frappe that you are looking for then you may visit this café. Also, you get fresh cakes here and you can enjoy the same in the flashy yet a peaceful ambience. Inner Market of Sector 7 locates this café which is famous for being a cozy place to read and work simultaneously without having to starve. The creative interior attracts the visitors and you may enjoy the peaceful ambience. Additionally, the courteous staff never fails to help you. The café offers free WIFI in addition to the valet parking and an access to the wheelchair access. It finds a location inside the Fern Residency hotel and offers all the Indian, Italian as well as the Continental cuisine in addition to the exotic mocktails. 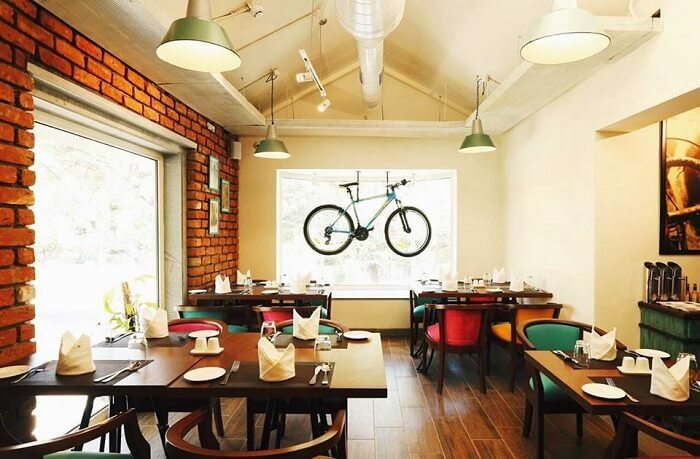 All in all, these are the Top 10 Most Affordable Café In Chandigarh that you can visit with your friends. These are all at an approachable distance within the city. The ample parking space drains out the issues of any inconvenience that you otherwise might have to face. So, make a plan and visit all of these one by one and decide which is the best.